Jacob Lake Campground is set just across the street from the Jacob Lake Inn. During the summer months, the campground is generally full before mid-afternoon due to the number of overflow campers from the North Rim and Demotte campgrounds. Jacob Lake Campground is at the crossroads of S.R. 67 and Hwy 89A. Local amenities available at Jacob Lake Inn include a gas station, restaurant, limited supplies and a gift shop. The neasrest full services are in Fredonia or Kanab. The Jacob Lake Ranger Station (ph. 928-643-7395) is located next to the Inn. 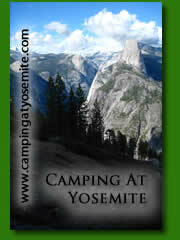 The Campground is scheduled to open around May 1st each year but that date can change depending on the weather. Click on the Book Now icon above to see the date range availability. The closing date is normally Oct 15th which is also dependant on the weather. Activities at Jacob Lake are wildlife viewing, sightseeing at the nearby Grand Canyon, just 45 miles to the south, horseback riding and hiking. Lee's Ferry, a trophy trout fishery is located just 40 miles to the east. 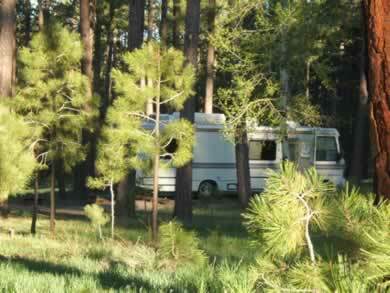 Jacob Lake Campground is best for tents, trailers and small motorhomes. For those with RV's, the Kaibab Camper Village is just 1/4 mile south of the Inn and has full hookups along with tent sites.The camper village is open May - October. From the east take Hwy 89a west to State Route 67. From Fredonia take Hwy 89A east to S.R. 67. The campground is at the intersection of both roads.